The Minister for the Environment and Climate Change announced a new government grant to support the installation of heat pumps in Ireland. The grant of €3,500 toward the cost of installing an air to water heat pump will be available from April 2018. The grant combined with the savings in home-heating bills for the installation of a heat pump will act as a huge incentive for homeowners to invest in upgrading their heating systems. The cost of heating a home and providing hot water with an air to water heat pump for a year is in the region of €1000 – this can be further reduced by upgrading insulation levels in the house. To help with this the heat pump grant also comes with an increase in grants payable towards external wall insulation. These will increase from €4,500 to €6,000 for a detached house and from €3,400 to €4,500 for a semi-detached or end-of-terrace house. The grant for the installing heating system controls will also increase to €700. These measures combined make it very easy for home owners to upgrade to a heat pump. This support for upgrading to renewable energy sources has been accompanied by the ban on coal being extended throughout the country and the scrapping of the approx. €100 grant for the upgrade of gas and oil boilers. 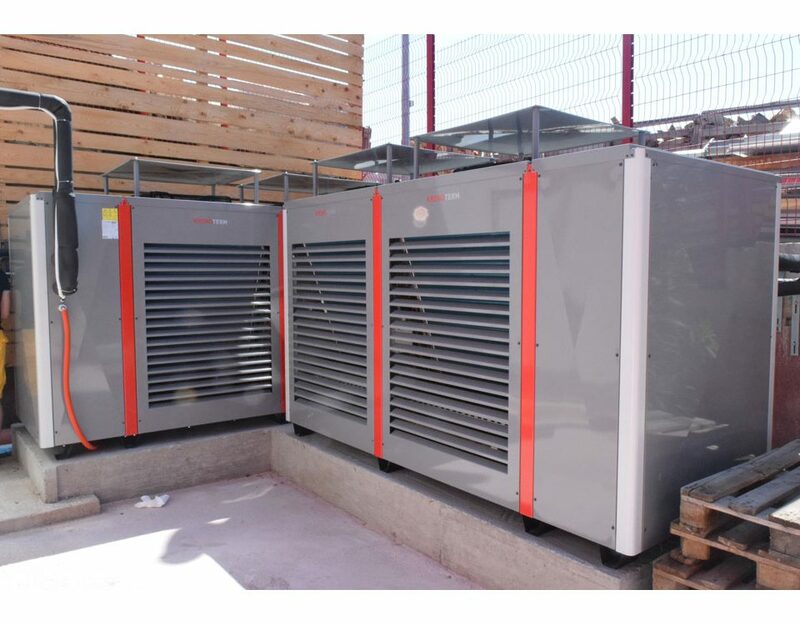 Glenergy supply a number of heat pump options specifically suited to installation into existing houses. 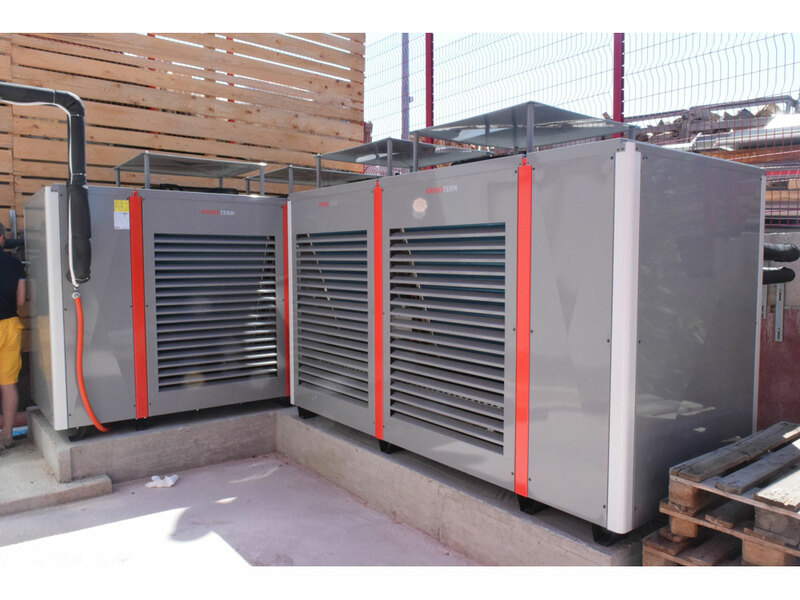 These include heat pumps which are designed to work with traditional radiators or underfloor heating. 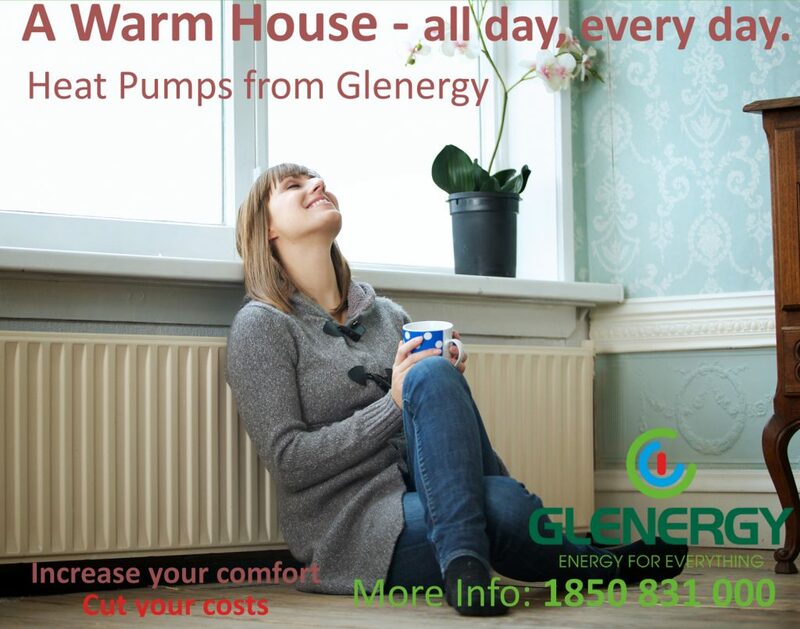 Contact us on 01 5563100 or info@glenergy.ie to find out more about our heat pumps and other renewable energy systems or to find out more about installer training programmes.